Paradise in town. 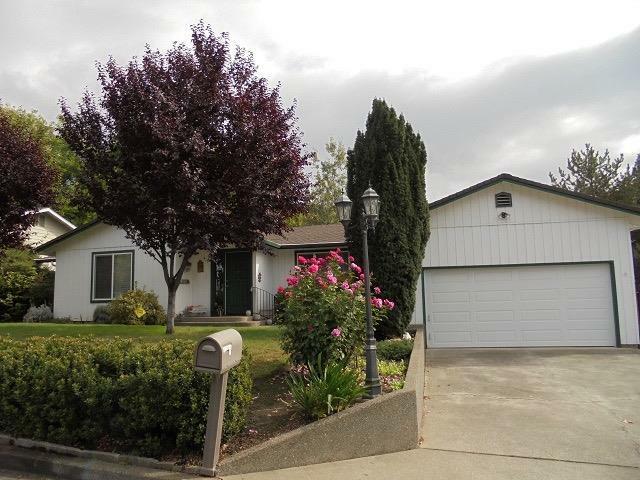 This Shangri-La property is situated in a very desirable NE neighborhood of Grants Pass The lovely updated home fits on this large lot that features also an enormous back yard with ample room and mature landscaping plus a pool makes the setting feel like it is in the country. This home has had extensive updates and feels like a late model home with hardwood floors, Corian counters, and custom appliances plus vinyl windows and new roof just a few years ago. The three bedrooms are all large and both the living and family rooms are expansive. This is a wonderful home that is truly a great value in today's market and it won't last long. Directions: A Street to Royal to Address.